After the long wait for almost 6 month finally this baby is back in stock at Solestruck. 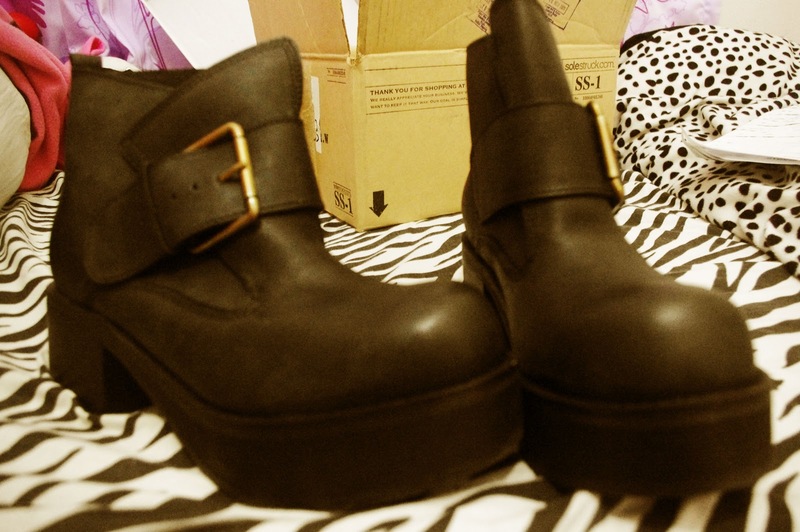 Since only left a pair with a perfect size, no fuss I just decided to get this adorable pair from Jeffrey Campbell. The heels, the chunky-ness are just remarkable! 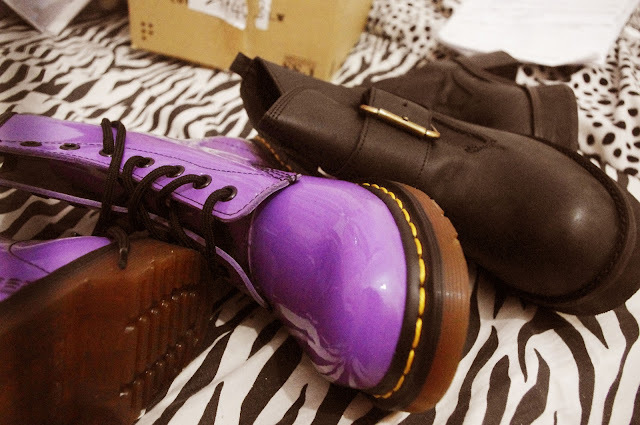 well, perfect shoes always come with negativity i happen to get this baby in Malaysia custom declaration. Well first thing is i know this shoes a bit costly and it's heavy a ton, luckily kindess win over everything and i would be able to brought this baby back home with a little tax burden on me. 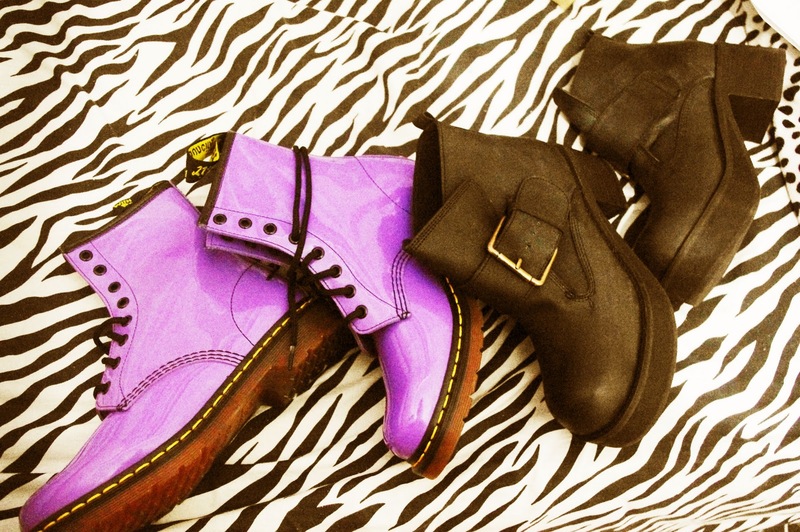 Brought my Doc mart purple boots from Jakarta, intend to wear it on the "big" night! 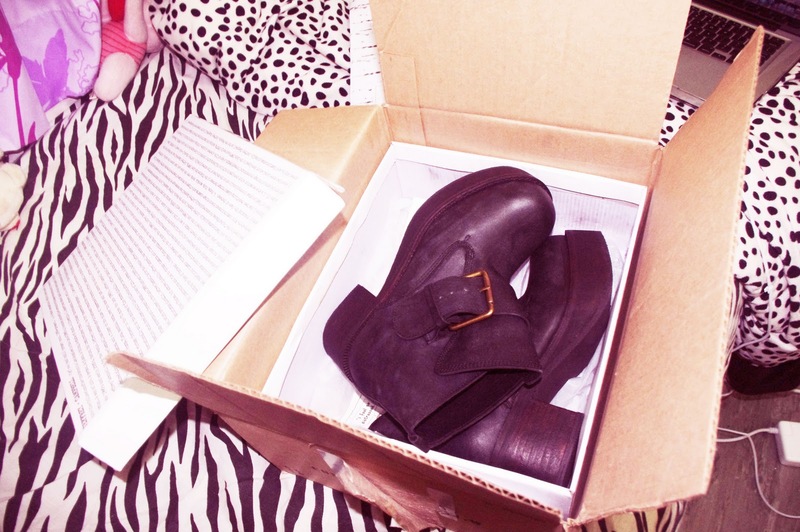 This entry was posted on Tuesday, 22 November 2011 and is filed under New born babies. You can follow any responses to this entry through the RSS 2.0. You can Comment.